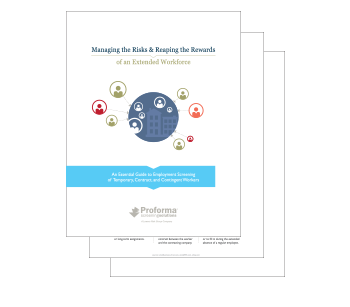 While an extended workforce can offer many benefits, it also brings clear risks that many organizations unfortunately fail to properly manage. In fact, while temporary, contract, and contingent workers often have the same access to company assets as traditional employees, 65% of companies fail to uphold the same screening requirements of their extended staff. Complete the form on this page for instant access to the guide (PDF download).